Producer Salva recently moved from San Francisco to an LA suburb, and he's having a hard time going out. "Stuff goes on, but it's tough to make an hour-long trip. I drink a little when I go out, so then I can't drive," he told XLR8R. The trouble of leaving the house has given Salva time to throw himself into his work, most recently November's Yellobone EP. A vocoded and enormous track from that project, "Obsession," sets the tone for Salva's FADER mix, a collection of sensual, drippy but closely tailored jams. 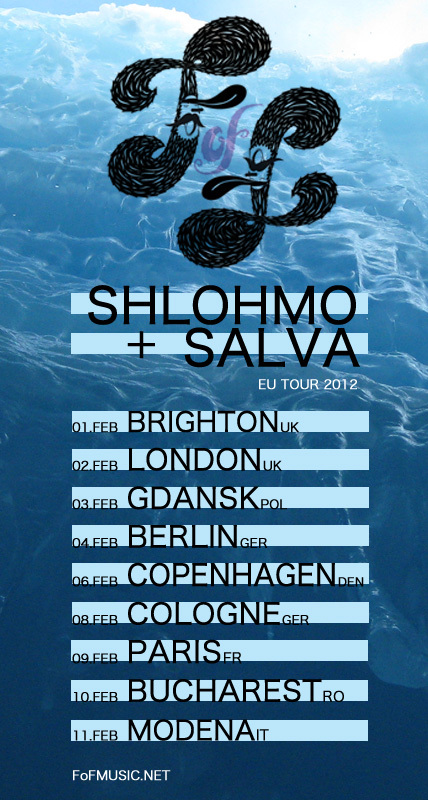 Salva tours Europe with labelmate Shlohmo in February. Before heading out, the pair play Glasslands (along with CREEP, who'll DJ) on Saturday, January 28th. Greeen Linez, "Palm Coast Freeway"
The Starship Connection, "More Than Just A Dream"
Krystal Klear + Olivier Day Soul, "Never Thought U Would Go"
Mark Ronson f. D'Angelo, "Glass Mountain Trust (Teeko & B. Bravo RE-FUNK)"
Salva, "Obsession (feat. B. Bravo)"